When a driver is pulled over on suspicion of driving under the influence of alcohol, one of the ways in which law enforcement confirms their suspicion is to have the driver take a breathalyzer test. Although constitutional protections against self-incrimination allow drivers to refuse to submit to chemical testing of breath, all applicants for a driving license in Pennsylvania must “impliedly” consent to submit to a breathalyzer test upon request when suspected of driving under the influence . Even after providing implied consent, the ability to refuse is still permissible, and the services of a defense attorney should be retained to ensure that the driver does not face any additional or collateral repercussions for his/her refusal. Significantly, the Pennsylvania Legislature recently enacted a law increasing the fines for refusal to submit to a breathalyzer test, if the refuser is later convicted for driving under the influence. A discussion of the new law, as well as strategies to fight breathalyzer results, will follow below. Senate Bill 553, which took effect on January 11th of this year, imposed a new fee for refusing to submit to a breathalyzer test. Specifically, drivers who refuse the test, but are later convicted and lose their license, will have to pay a Restoration Fee to get their license back. The amount of this Fee is graduated, based on how many times a breathalyzer test is refused. That is, the first time the test is refused, the driver will have to pay $500; the second time, $1000; and $2000 each time after that. By contrast, the previous fee was only $70. Additionally, the new law requires law enforcement to explicitly inform drivers of these penalties when they are first asked to submit to the test. Many people mistakenly assume that breathalyzer test equipment is infallible and always accurate. However, equipment malfunction frequently occurs. There is also a standard deviation that applies to most chemical breath testing machines that may be legal grounds for a lowering of the tier of blood alcohol content upon which DUI penalties are based. In certain cases, a machine with a history of malfunctioning may cause the purported results of the breathalyzer to be inadmissible at trial. For these reasons, any individual charged with DUI who has submitted to a breathalyzer test should retain the services of a knowledgeable criminal defense attorney who can properly evaluate the viability of a defense based on such deviations and equipment malfunctioning. Another potential strategy to attack the accuracy of a breathalyzer test focuses on whether proper procedures were followed in administering the test. As previously noted, breathalyzer machines, like all mechanical devices, are frequently inaccurate, and must be calibrated at regular intervals required by statute. If calibration has not occurred as mandated by statute, or if the test is administered incorrectly or fails to follow established protocols, or the test is administered by an individual who is not certified to do so, the results of the chemical testing of breath may be attacked as being unreliable and a constitutional violation of due process rights. In other words, when law enforcement stops a driver suspected of DUI, the officer must follow strict protocols in order to correctly assess the level of impairment, if any, of the driver, and more importantly, ensure that there is no violation of the driver’s constitutionally-guaranteed rights under the 4th, 5th, 6th and 14th Amendments to the U.S. Constitution, as well as Article 1, Section 8 of the Pennsylvania Constitution. Finally, it is important to remember that a breathalyzer device does not measure blood-alcohol content (only a blood sample can do that). 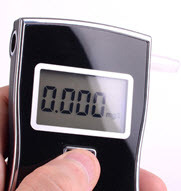 Rather, a breathalyzer estimates one’s blood-alcohol content based on the amount of alcohol vapor on one’s breath. Again, with improper calibration and/or operation, this estimate may be flawed, a fact that can be exploited by an experienced criminal defense attorney. Being charged with DUI is a very serious offense that requires the services of an experienced criminal defense attorney. 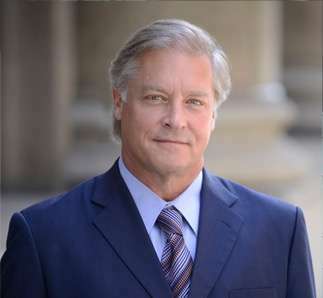 Attorney Gary E. Gerson has this experience, especially as it relates to attacking the results of a breathalyzer test. Retaining his services can go a long way toward obtaining the most optimum result in your particular case. Contact his Pittsburgh office today.